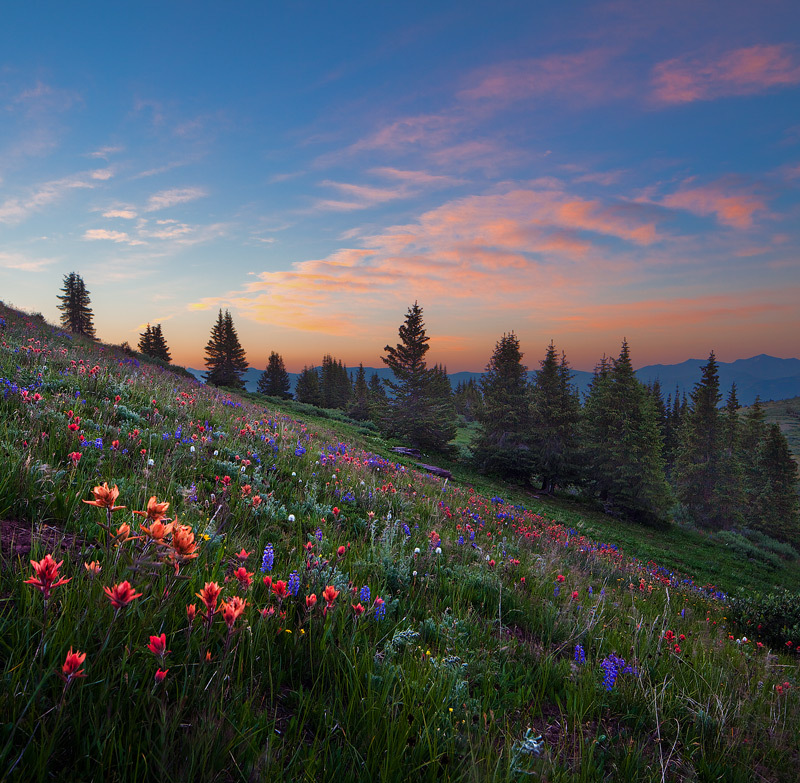 I had limited time to enjoy the wildflower peak this season in the Colorado Rockies; one weekend to be exact. My original plan was to head for the San Juans, but the weather forecast (as detailed in my e-book!) 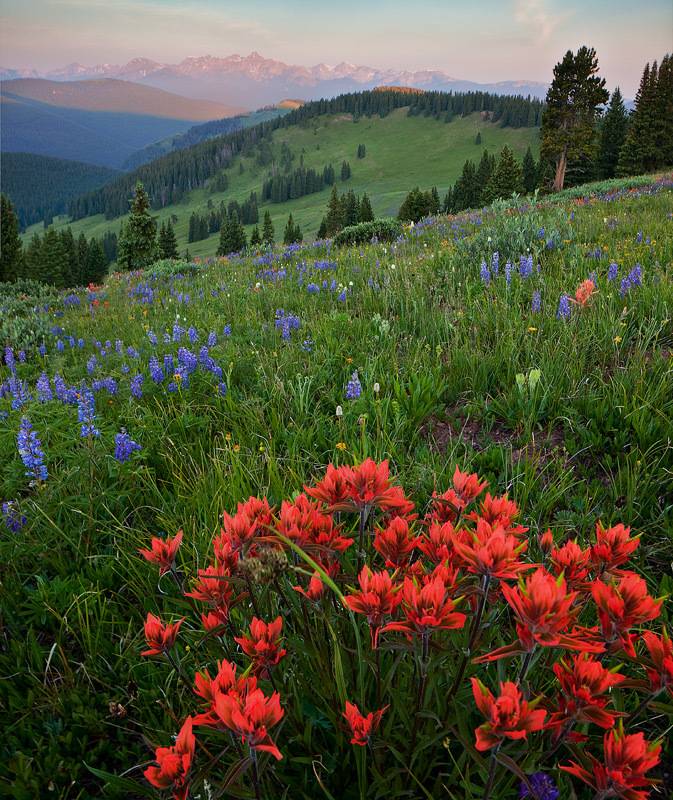 and time constraints led me to one of my favorite go-to spots for flowers, Shrine Pass near Vail. 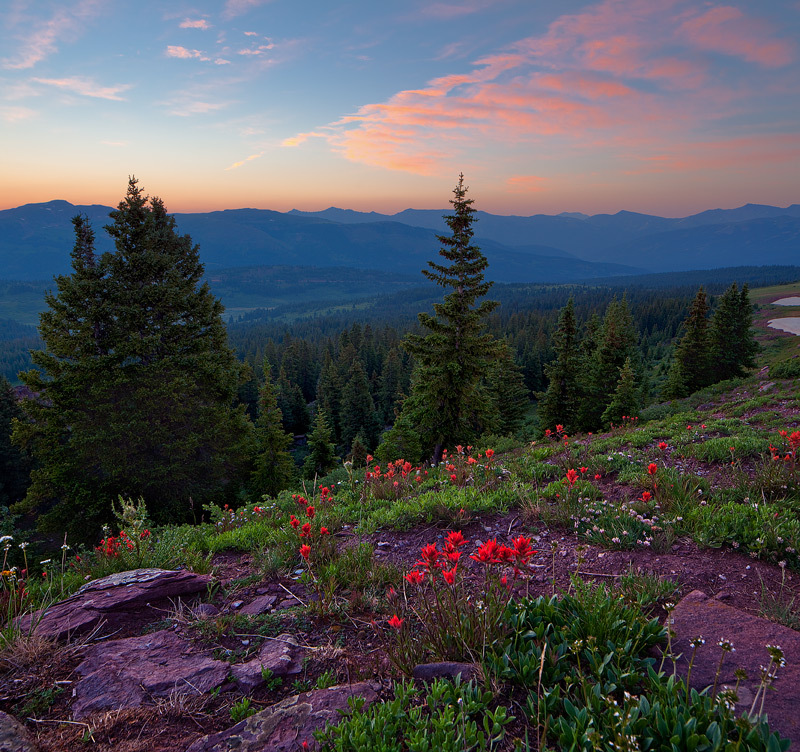 Shrine isn’t the most dramatic mountain location, but the views are wide open and the flowers are thick! After hitting the trail at 4am, I listened to the coyotes cry as I made my way to the top of Shrine Ridge. Sunrise did not disappoint! 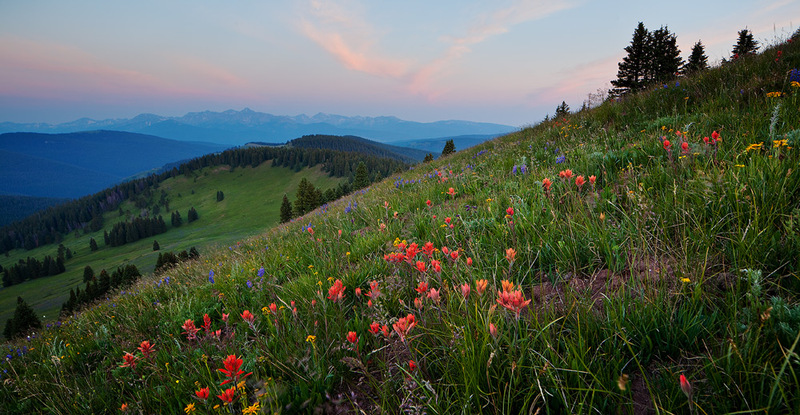 Beautiful sunrise from Shrine Ridge in July. Looking northeast from Shrine Ridge. The mosquitos were not as nice. I couldn’t stay in one spot for more than 10 seconds before thick clouds of the blood-suckers would surround my head. This gave me more incentive to keep moving for new views! 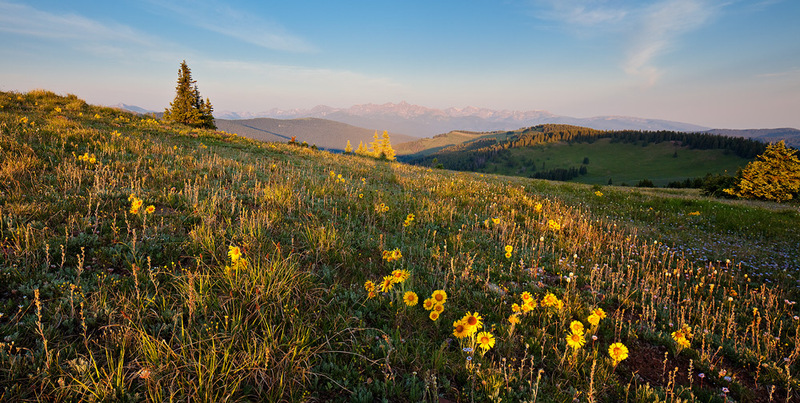 Paintbrush glow in morning light on Shrine Ridge. I spent another couple hours hiking the ridge while the light was still good. I didn’t see anyone else until I started hiking back down the trail; then I encountered several groups of hikers and photographers headed up the trail. They missed a great sunrise! Sunflowers light up in morning light.